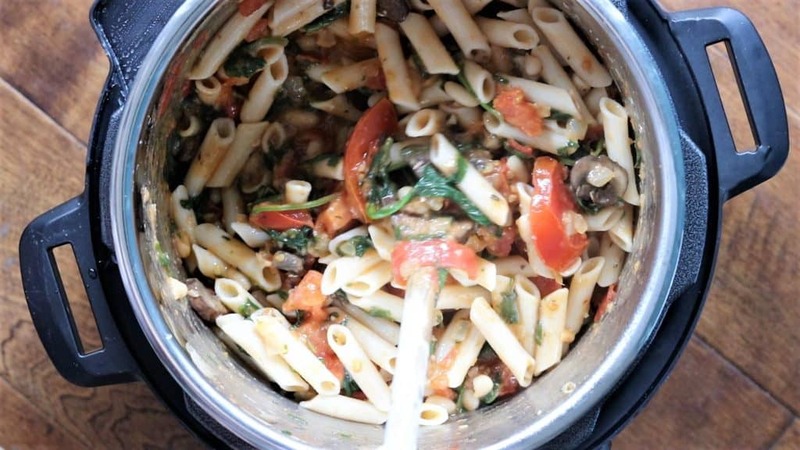 Instant Pot Spinach Mushroom Pasta really is instant….like the pasta is cooked in four minutes, and the remaining ingredients are sauteed in ten-fifteen minutes. The longest chore you have is chopping! 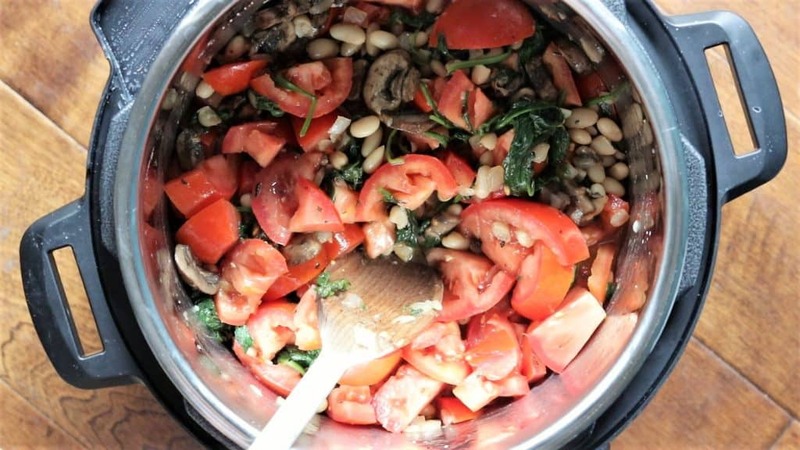 A simple recipe with only farm fresh ingredients, is ready to serve in thirty minutes. 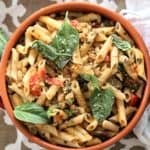 You can use any gluten free pasta, and the fresh tomatoes and basil give the dish a tasty flavor. If you are not cooking in an Instant Pot, cook pasta according to package directions, and saute remaining ingredients according to recipe below. Vegan, gluten free and dairy free. Rinse with cold water. Set aside. Rinse pot, return to cooker and set to saute. 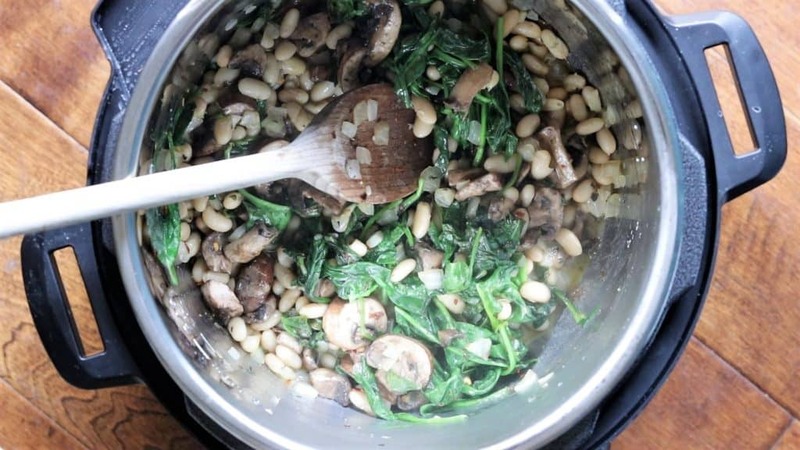 Add olive oil, onions, garlic, spinach, beans, mushrooms and spices. Saute for an additional 5 minutes. When tomatoes are tender, use hand blender to blend a small section of vegetable mix to make a sauce. 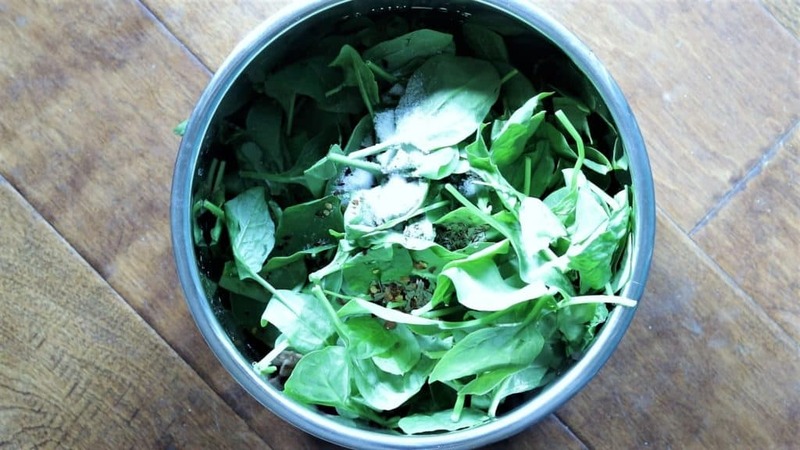 Leave most vegetables intact. Add pasta back into pot and stir well. Serve. 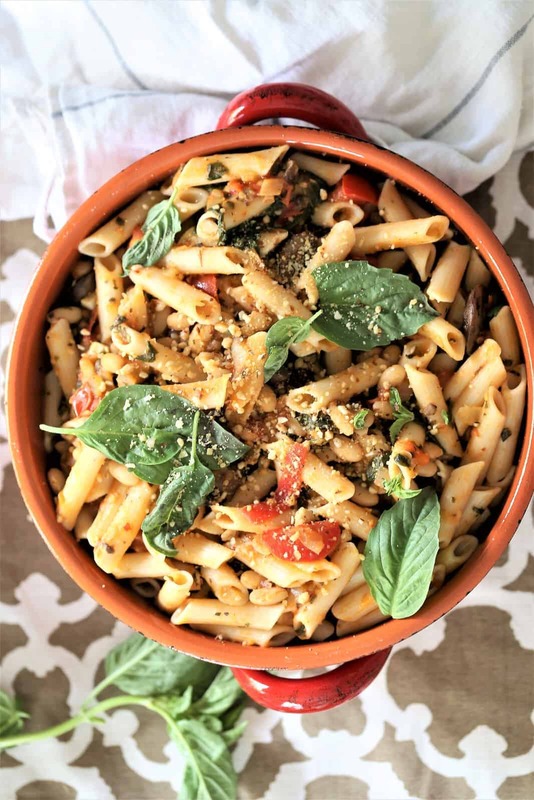 Garnish with fresh basil and vegan parmesan. 6-8 servings. 1. 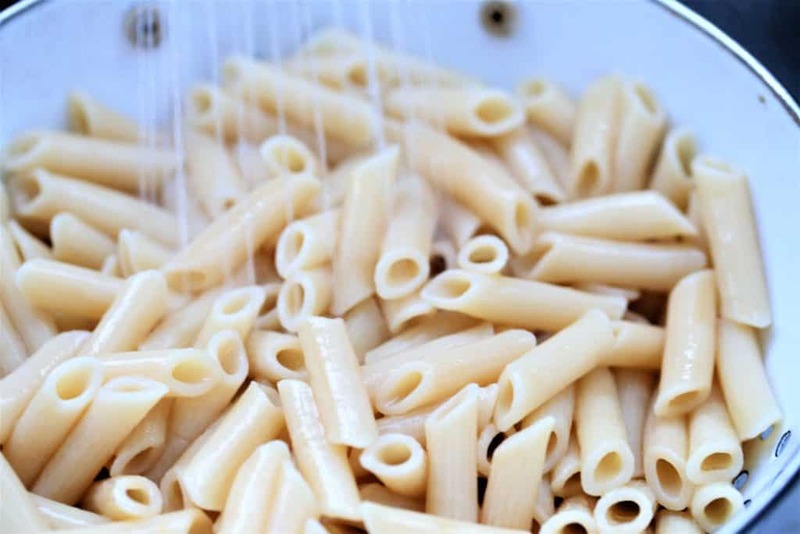 Add pasta and water to Instant Pot and cook on high pressure for four minutes. 4. Add spinach and spices. 5. Set Instant Pot to Saute and saute until tender. 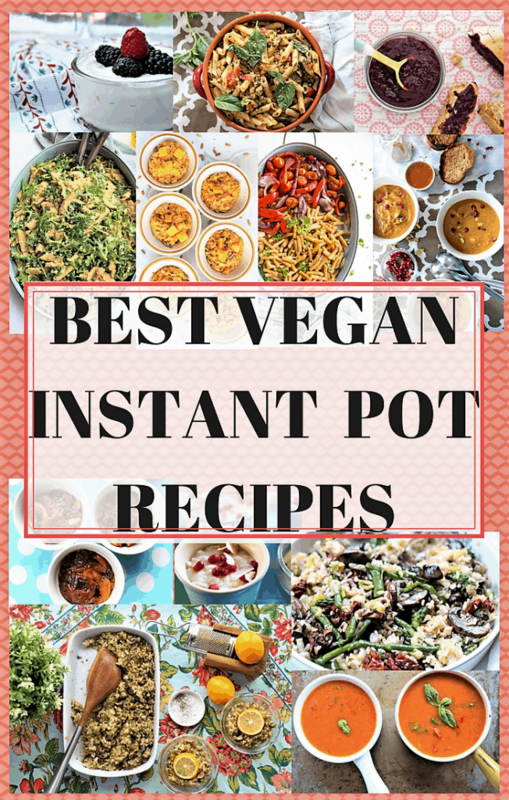 While I am not an expert on Instant Pot cooking, I am trying to make it as useful as possible in my kitchen. 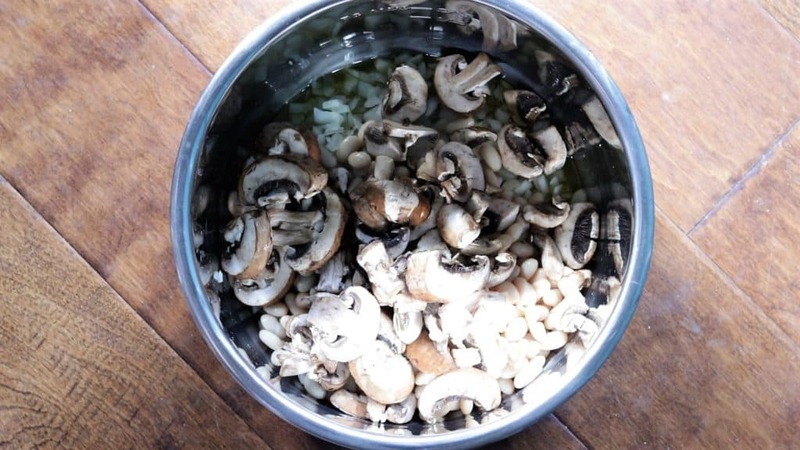 In addition to the tender juicy flavor that food cooked in the Instant Pot has, it is ready in much less time than any other method of cooking. 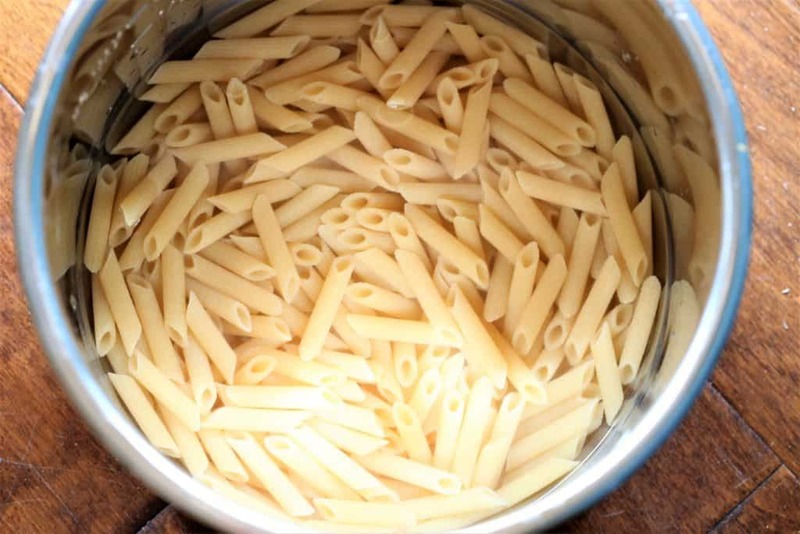 Many do not recommend cooking pasta in the Instant Pot, as the gummy water can clog the vent. I did notice that somewhat, but I cleared the vent immediately after pressure was released. 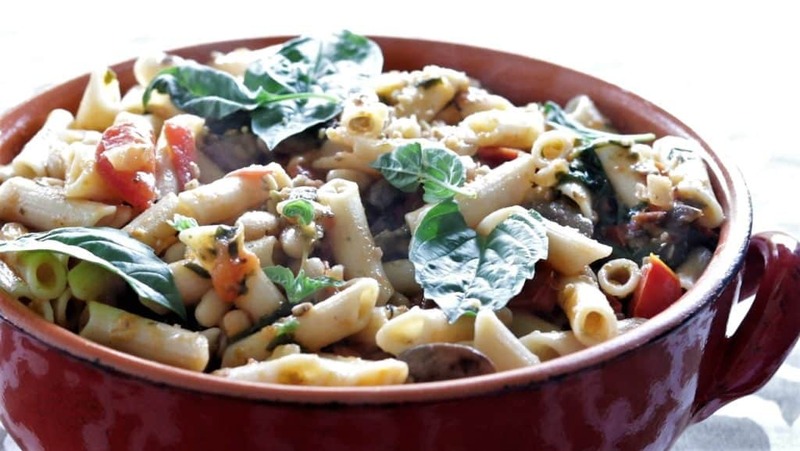 In my experience, the lentil pasta caused less of a problem with clogging than wheat pasta. Definitely don’t over cook the pasta, as it will become very mush. 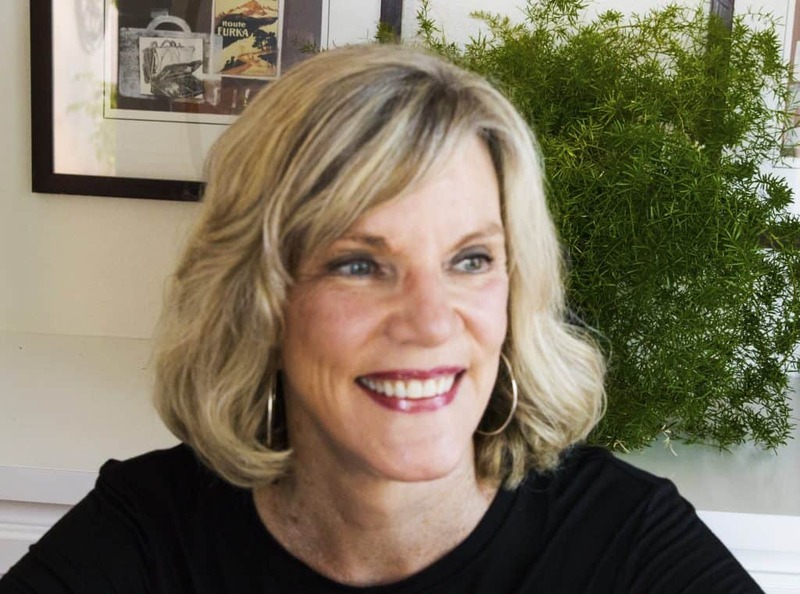 This post was updated on September 9, 2018. This was unbelievable…..can hardly wait to make it again!!! !